Your customers, your suppliers and your company count on forecast accuracy for improved visibility and reduced supply chain risk. 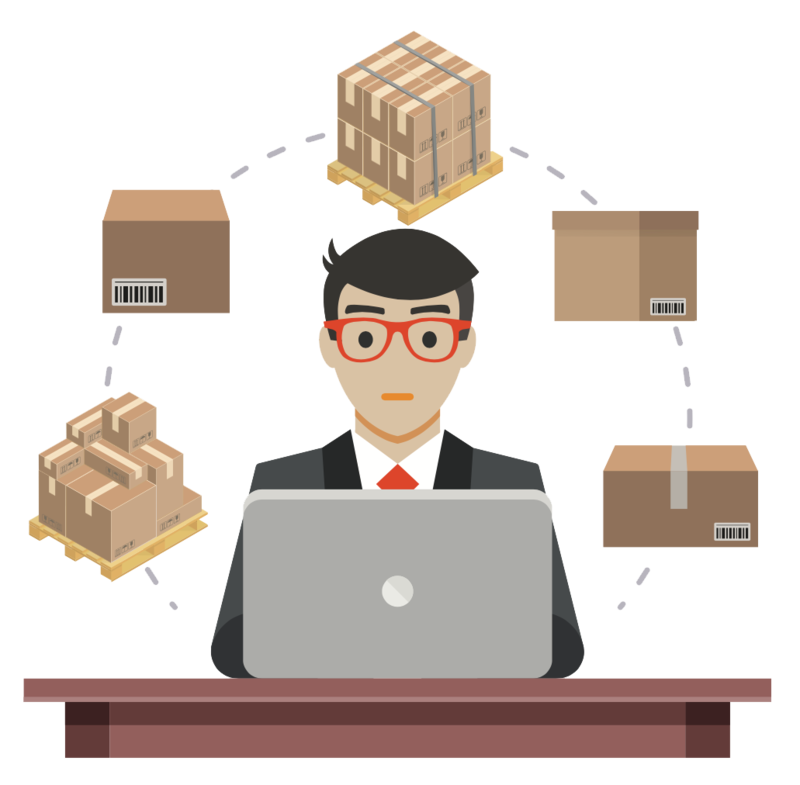 Greater accuracy in your demand forecasting system enables you to reduce stockouts and eliminate excess inventory, which means increased sales while keeping costs in check. With our cloud-native forecasting and demand management solutions, you can understand and adapt to your customers' buying patterns - what influences them to buy and when. Accurately predict when, where and how much they'll purchase to assure you can provide exactly what they want, without excess cost to you. Simulate, Adjust & Profit – the inventory forecasting and planning control you’ve always needed. 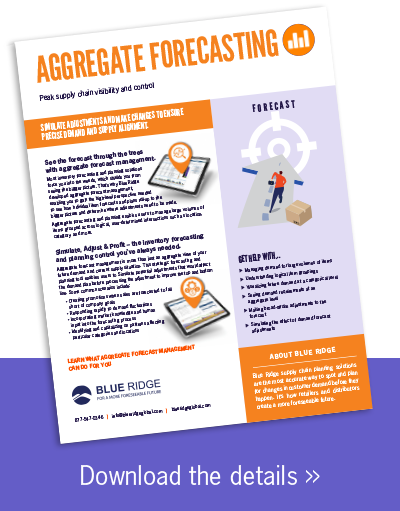 Aggregate forecast management is more than just an aggregate view of your future demand and current supply situation. This strategic forecasting and planning tool enables users to simulate potential adjustments that would affect the demand plan before processing the adjustment to improve the top and bottom line. 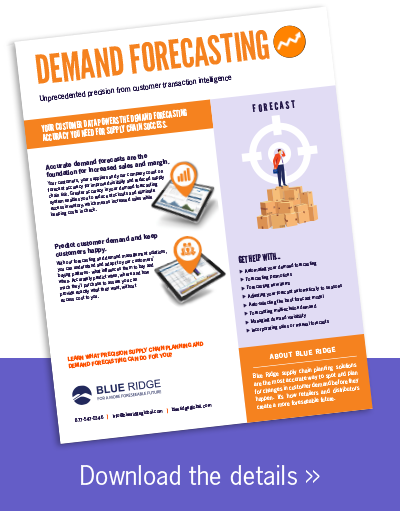 With our forecasting and demand management solutions, you can understand and adapt to your customers' buying patterns - what influences them to buy and when. Accurately predict when, where and how much they'll purchase to assure you can provide exactly what they want, without excess cost to you.